Donald Sinclair of East Clyth died 9th February 1945. Wife Dolina Cormack died 5th May 1935. 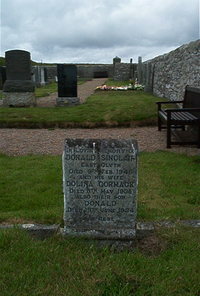 Son Donald Sinclair died 19th June 1934.